I purchased a MacBook Pro when Leopard was due to come out. Apple mailed me a free upgrade DVD about a month after I purchased the MacBook. When Snow Leopard came out I purchased the upgrade DVD for something in the neighborhood of $30 if I remember correctly. I've done clean installations from all of the media and never run into an activation/registration problem. On the flip side, I paid $149 for Windows XP, another $149 for XP 64-bit (if only there had been driver support back in the day...), $199 for Vista and another $149 for 7. Granted these were over a slightly longer time period. Still, I can't help but think that some of the initial investment cost of the Mac has been offset by not having to spend significantly more on software upgrades to get the features or functionality that I enjoy having at my disposal. Factor in the inconvenience of having several iterations of Windows that were more or less junk, but still cost the same and it slides the scale further in favor of OS X in my experience. 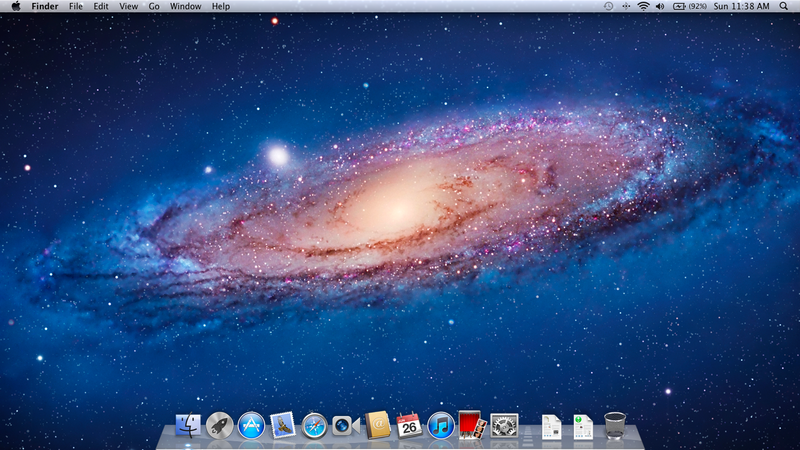 Now I can also get what is essentially a household upgrade in Lion for approximately $30 if I decide it is worthwhile. The amount of money Apple made on your purchase of their hardware more than covers the cost of the OS. Microsoft does not sell their own brand of computers. You can purchase a PC laptop for hundreds less than you can purhcase an Apple MAC. I love it how PC people have such a sweet feeling of entitlement. Have you ever had/bought/found a product that you were simply content with paying a premium for because it just worked well for you? Have you ever overtipped a waiter because the service was really good? ??? "feeling of entitlement" ??? Not sure what you mean, but I do work hard for my money and do have a choice of where I spend it and how much I'm willing to pay for a product or service. There is a HUGE difference between tipping a waiter for working hard to provide you the best experience, than a company who sells consumers the same technology I can get elsewhere for less and be just as satisfied with my purchase. I'm not a 'Scrooge', but I'm also not a fool. Meaning: A fool and his money are quickly parted. I build my own systems so I not just satisfied with what is put out by the large PC sellers either. Most readers here are not satisfied with being 'spoon fed' what we should be satisfied with. Umm, currently it is roughly 100$ for Home Premium (I paid 125 when I preordered Win7 Pro Upgrade edition), less at some retailers. Not to mention, you glossed over the fact that there does exist a "mac tax", which you would have paid on every mac you own, offsetting the total cost. Say I spend 2400 on 3 PCs (including OS) and you spend 3000 on 3 Macs. Performance is identical. It will cost me 300 to upgrade each one to Win7. It will cost you 30$ to upgrade all of your Macs. 2700 vs 3030, Interesting. I will have to go through another version of Win7 in order to catch up with you in cost. And I'm being generous with respect to the difference in price before upgrades. "2400 for 3 PCS ($800 ea.) and $3000 for your [POS] Mac". $800 PC vs. $1400 iMac . Not 800 vs. 3000. * Incidentally, you can sell your used Mac for a lot more than the technically equiv. PC. I've used that to upgrade my Macs several times. So, you bought four copies of Windows for a single computer? You may be the only person to have done this... A more typical experience over that time period is: Windows XP "free" with new PC, and $100 to upgrade to Windows 7.